Hip, edgy, ultra-chic and a perfect pick for daring fashionistas. 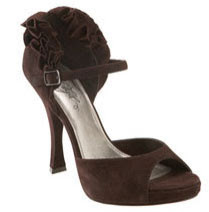 Semi-rounded toe, low hidden sliver wedge heel, mid-calf seem and covered button snaps are added details. Wear them cuffed or thigh high, these boots are sure to be this seasons crowd pleasers. Padded cushioned footbed. Balance manmade. Shaft height 21”, circumference 15” at calf. Approx. 1 inch" heel. One winner will receive a Peace Silk/Linen Scarf in their choice of Midnight Black or All Natural White (a $69 value) from Jonano. Jonano debuts the newest addition to their Daffodil Collection, in a beautifully textured, whisper-weight, silk linen scarf that accents any look with earthy, roughhewn charm. 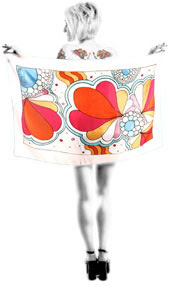 Inspired by Daffodil Days, Artist Bonnie Siefers has created whisper light scarves that support breast cancer research. You can honor someone special, brighten the day of someone touched by the disease, and help make the Jonano Mission to end cancer in our lifetime possible all at the same time! Ten percent of each sale will be donated to support breast cancer research through the Breast Cancer Research Foundation. That's nearly $7.00 per scarf! One of the first flowers to bloom in the spring, the daffodil is a symbol of hope. Each year during Daffodil Days, fresh daffodils are available to purchase worldwide, either in memory of a loved one, to celebrate a cancer survivor or to promote the hope of a cancer-free future. Cancer is the second leading cause of death in the United States. The overall survival rate for all types of cancer is 65%. Today, there are approximately 10.1 million cancer survivors in the United States. Grass, Sidewalk Cracks and Cobblestone are no longer off-limits while wearing stilettos. Introducing SoleMates, the high heel saver that is only $9.95. Flexible and discreet, the SoleMates High Heeler™ attaches easily to most stiletto and kitten heels. By increasing the surface area on the base of the heel, it reduces the pressure on this area and prevents the heel from sinking into grass or falling into cracks! The patented design of the SoleMates High Heeler™ is mechanically engineered to fit snugly on most heels and yet the flexible material grips securely without damaging the heel or compromising the aesthetics of the shoe. Wouldn’t you love to grab something out of your closet every morning when you’re barely awake, and know you’ll go out looking amazing? Alison Craig of 3 Impressions does makeovers of both personal image and office design, and she also teaches us how to put your wardrobe together so ingeniously that all the planning is done, and you just grab one of your fabulous outfits and go. First, edit your wardrobe so that your closet only holds items that you use at least once every six months. 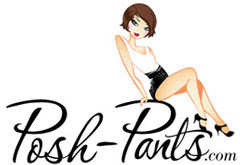 This minimizes those “My closet is full, but I have nothing to wear” moments. Next make your closet Idiot Proof! Do what your little girls do: invite a girlfriend over, have some fun, and play dress-up. 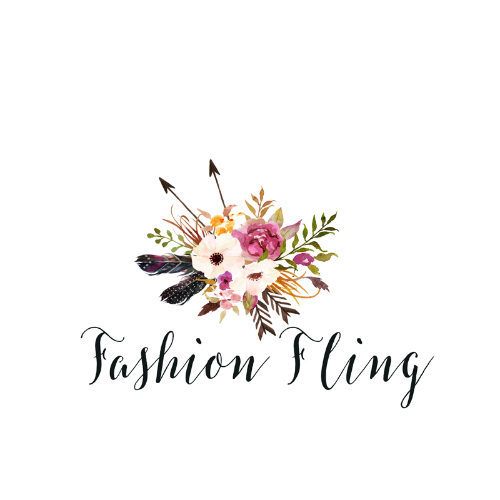 Take your existing clothes and accessories, and spend a few hours to mix and match them into wonderful outfits. Take photos and notes of all the combinations. I teach people to create an Idiot-Proof Guide so that when you barely have time to change out of your PJs in your rush to work, you will look as amazingly sharp and refined as any day when you had more time. You did think about what to wear; you just thought about it well in advance. That advance planning will make every following day of your life less stressful. Less stress and look amazing every day. Who wouldn’t want that? Thieves' asymmetrical skirt has an invisible side zipper, adjustable suspenders, great front and back vertical stitch detailing and a flattering fit. 45% hemp, 40% wool, 15% lyocell; lining: 60% hemp, 40% silk. Made in Toronto, Canada. Sweatshop free. One winner will receive a Mini Oblesk (a $230 value). Note: Since this skirt is a specific fit, the winner must not mind bantering back and forth with the sponsor in order to get a true size. The Lav & Kush Ruffle Dress (Was $145.00 Now $108.75) is quite snug and fits me perfectly. 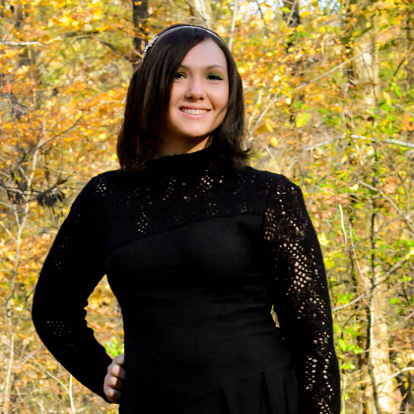 It also has to be one of the most comfortable dresses that I own, and believe me, I own a plethora of dresses. Ruffles go around entire neckline forming a v in front and in back. Centre gathering hides a multitude of sins. The ruffled hem converges in a front slit. The material is very lightweight and soft. With it's fun and flirty style, this dress is perfect for a date. Your date sure wouldn't have any trouble remembering your name, picking up the phone and calling you afterwards. Note: This dress appears as a cobalt blue in the picture, but it is a beautiful shade of night blue once you see it. The giveaway will conclude October 20th. La Mer was established in 2001 when Martine rummaged through her jewelry drawer and could not find a simple, stylish and feminine watch to wear. Combining her passion for design, love of quality materials and simple beauty, La Mer Collections was born. Inspiration is drawn from her journeys: South Africa’s colorful markets, Bali’s lush flowers, Italy’s gorgeous leathers and Thailand’s clear blue ocean. Each season La Mer’s color palette is chosen from these bright and colorful experiences. La Mer Collections’ focus is on classic watch faces designed exclusively by Martine Ilana, paired with beautiful leather straps. La Mer Collections has an array of eye catching watches that are unique and exquisite. 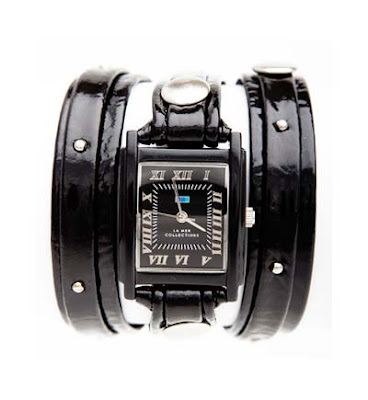 Therefore, I was thrilled to have the opportunity to review the Black Patent Layer Wrap Watch with Silver Studs ($96). The leather is extra soft, and the watch fits my wrist perfectly. I highly recommend this particular style if you're looking for a watch to make a bold fashion statement and don't mind being lavished with compliments! 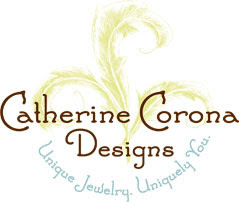 Click here to view other chain/charm wrap styles. You can be rest assured that you will not find anyone in the near vicinity wearing a watch cool as yours! After the dark, somber designs from Mercedes-Benz New York Fashion Week Fall 2009. 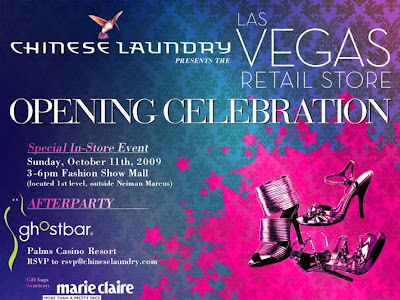 I, like most consumers, was ready for splashes of color for spring 2010. 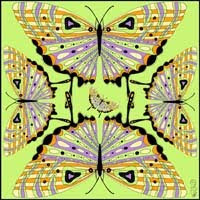 Fortunately, the spring 2010 forecast calls for plenty of vibrant colors - think corals, violets, rich blues and greens. 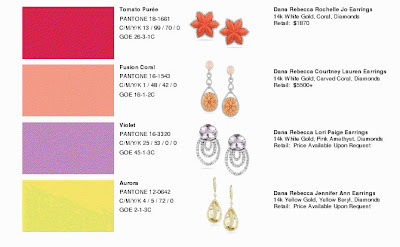 One of my favorite resources for color trends is Pantone Fashion Color Reports. They create these reports for New York Fashion Week, interviewing top designers about the major colors they are incorporating into their collections. But don't expect these colors to only be popular in the fashion world. Accessories, like fashion, will certainly follow a similar report. 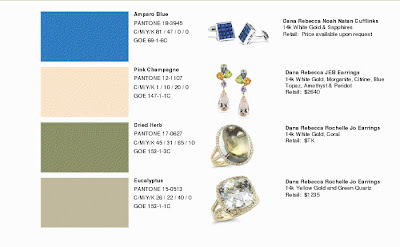 Don't be afraid to experiment with these colors in all areas of your wardrobe for spring 2010. 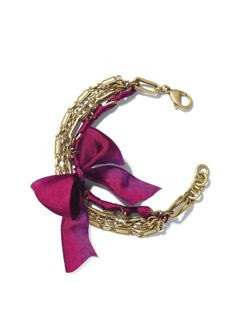 Already a favorite of celebrities including Taylor Swift, Emmanuelle Chriqui of Entourage, Gossip Girl’s Kelly Rutherford and Audrina Patridge of The Hills, the Lisa for LOFT limited-edition bracelet benefitting the Breast Cancer Research Foundation arrives in LOFT stores nationwide and LOFTonline.com today. Worn alone or layered with others for dramatic effect, the bracelet offers a chic alternative to the conventional cause-supporting pin -- a stylish way for fashionistas to “think pink” in support of a prominent issue effecting women everywhere. Despite its designer pedigree, the bracelet’s retail price of $24.50 remains true to LOFT’s spirit of providing on-trend items at unexpected prices. Five dollars of the proceeds from each bracelet sold will be donated directly to The Breast Cancer Research Foundation, a charity dedicated to providing critical funding for research at medical centers worldwide and increasing public awareness about good breast health in order to achieve prevention and a cure for breast cancer. The bracelet is available for purchase from October 1 - 31, offering shoppers another compelling reason to Live.Love.LOFT.